and all the details to make sure the whole event ran smoothly. I loved being able to have the ceremony and the reception in the same location. Stacey and Jim were married June 22nd, 2013 at Events on 6th in Tacoma, WA. The day was sunny, but not too hot, and the evening wedding was decorated with orange, peach, and salmon and also many personal happy touches. The couple met at a speed dating event, and after hitting it off continued the date with food from Scooter’s Catering and by making glass ornaments. Stacey and Jim included the ornaments in their wedding decorations and had Scooter’s cater the reception. “The food was fantastic," said Stacey, “we STILL get compliments about the food!" 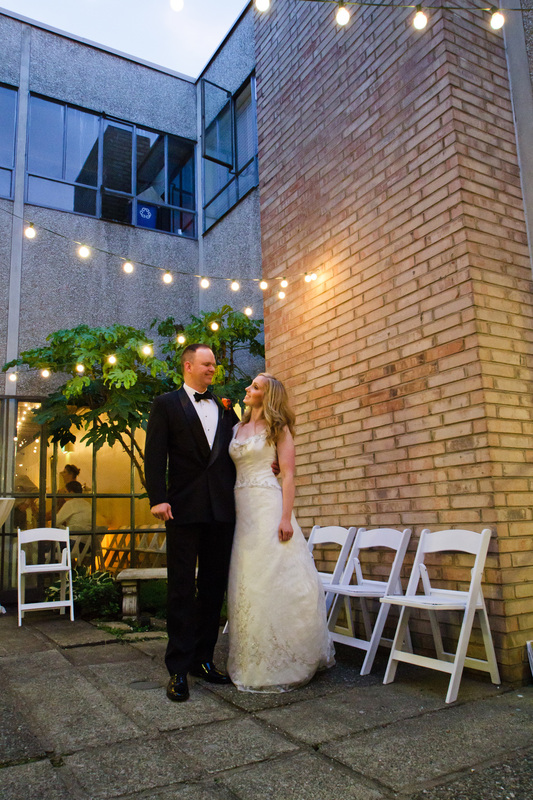 During their six-month engagement the couple chose Events on 6th as their venue because of the beautiful sanctuary and perfect reception area. “It is such a beautiful setting for photos," said Stacey. Stacey and Jim were very pleased with their photographer, Vivid Images Photography. "We highly recommend them!" they exclaimed. 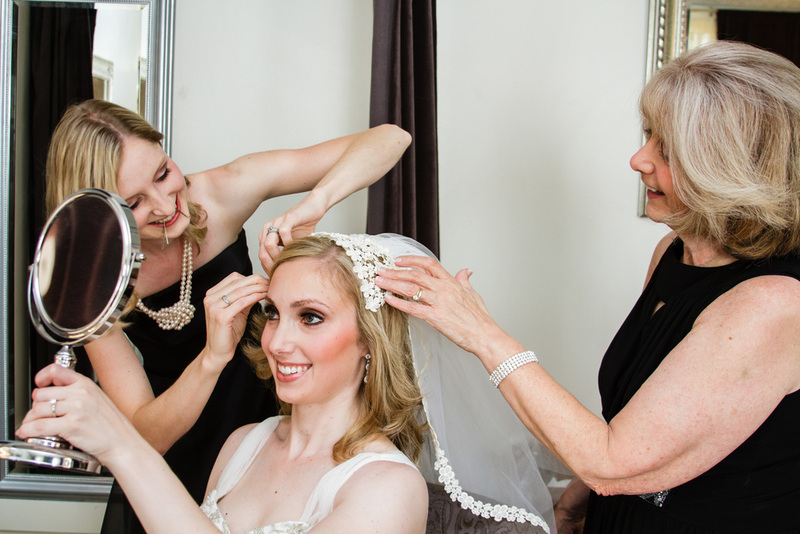 Stacey walked down the aisle wearing her mom’s veil and one of her favorite moments was during the ceremony: “being dipped during the kiss!” she exclaimed. Another favorite special touch were programs Stacey’s mom made by hand. The couple continued the celebration with dinner by Scooter’s catering and dancing under the party lights. Jim and Stacey danced their first dance together to “Home” by Philip Philips. 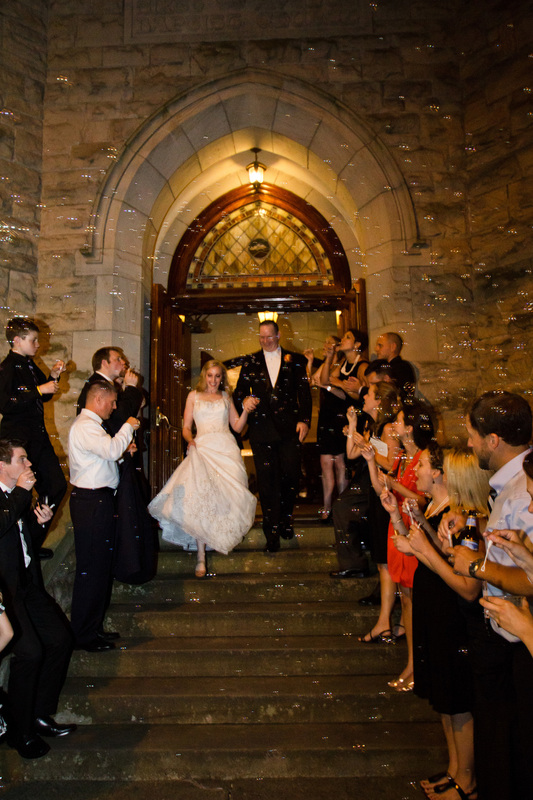 The happy couple exited to a flurry of bubbles and headed to the Oregon coast for a relaxing honeymoon. What a lovely day to begin a wonderful life!